Volleyball Strategies - How to Play Volleyball? How to serve to score a point? Where to serve? How to line up on passing? How to play defense to dig more balls? Probably the most common way to set up a volleyball block is "blocking by reading the opponent", read blocking. In read blocking blockers read the setter to determine where the setter sends the ball. When blockers see where the ball goes, they react and move to set up the block in front of the hitter. After the first contact before the setter contacts the ball, blockers need to be aware of the hitter's movements. Are hitters running inside? How fast they are approaching? However, they won't commit to any of the hitters - until the setter sets the ball. 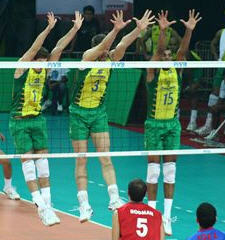 Often in top level volleyball blockers use other blocking style, in which players commit to stop a specific hitter. Middle blockers often use this style to stop the opponent's middle attacker. Or in the end of the game, blockers could decide to stop the opponent's best hitter since most often s/he gets the set in the final moments of the games. 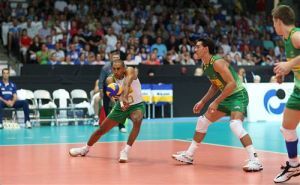 Usually there are three passers to pass the ball in volleyball. It is very common in junior volleyball that all three passers divide the court equally - and changes are not made - no matter what happens in the game. It is a good idea to share the court equally, if goal is to give everybody opportunity to learn to pass, but let's think what we can accomplish, if we start changing the passing line-up. How to Change Volleyball Passing Strategies - by Using Four Passers? This is not a common volleyball passing strategy at all, but I have seen one top level men's national team volleyball team passing with four passers, the opposite hitter being the extra passer when this team tried to stop the opponent's jump server. What other changes we can do in the passing line-up? Libero specializes on defense and serve receive, therefore we should give more court for the libero. Libero can easily take at least 40%, maybe 50% of the court, or even more if the player is a talented serve receiver. This makes the teammates' passing much easier and let's them to focus more on hitting. How to Change the Volleyball Passing Line-Up? How to Help a Teammate - and the Volleyball Team to Play Better? If one player struggles in passing or hitting, two other passers should help this struggling player by covering more court. They should leave just a little slice of the court to him/her - to make it easier for him/her to pass or hit. How to Stack Players on the Volleyball Court? Volleyball Passing Strategies - Stacking Up Players to the Center. Stacking up the players to the center of the court and leaving lines open could be a solution, if the server tends to hit the powerful serves to the center between the players. Stacking up the players definitely makes passers' job easier against the powerful serves to the seams. It could also lead to a serving error - if all of a sudden the server is tricked to change his serving style and direct the serve towards line. Volleyball Passing Strategies - Stacking Up Players to the Corner. If the team has scouted that one player tends to serve most of the serves to position 1 - why not to surprise this server and stack two passers to cover position 1? If the server continues to serve to position 1, the passing becomes much easier. If the server decides to move away from his/her favourite serve - it may lead to a serving error or it could take the power off from his/her serve. Volleyball strategies in serving and passing has become important part of the game. If at the top level the opponent is able to pass the ball perfectly to the setter's hands, the chances to win the rally are very low. How to serve to help your team to score more points? Volleyball Strategies - How to Serve? Serving to left back corner, position 1 or the left side line is a good choice because it makes the setting much more difficult for the opponent's setter. The setters have to keep their eyes on the corner, which means it is extremely difficult to follow outside hitter and middle hitter approaching to spike - which makes the timing between the setter and hitters more difficult. When serving short you could try to place the ball in front of the player who has lined up too far from the net - or doesn't move forward very well. However, you probably want to take your serving strategy further. If you have the opponent's best hitter on the position 4, you could serve the ball short to the position 4 and make his/her approach more difficult. Think how much harder it is for the hitter to pass the ball inside the 10 feet line (3 meter line) and take steps back to start an approach. You wouldn't like to be served like that, right? If you have figured out which route the opponent's setter or offensive player is running, you could serve the ball to somebody's running route to mess up their offense. 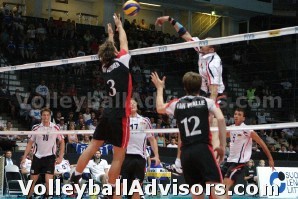 You could do it for example when the setter leaves very far from the back corner. It could be your opportunity to serve a shorter ball into setter's running route - it may end up hitting the setter, or some other player has to go in front of the setter to pass the ball. Volleyball strategies and the game itself with all the rule changes have taken giant steps in the past decade. Maybe the biggest change has occurred in the serving and serve receive aspects of the game. Volleyball serve and serve receive have become a dominant part of the game recently. Today the success of a team almost solely depends on serving and serve receive. Let's go back to 1990's for a moment.. I recently watched a recording of the final match of 1990 World Championships. This Italy vs. Cuba match was a good reminder how much the game has changed in the recent years. 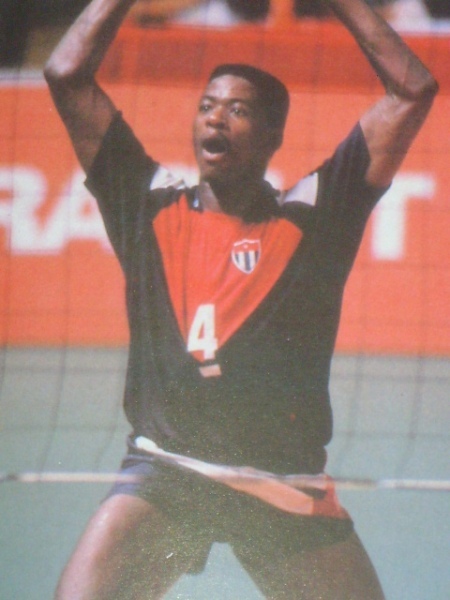 In 1990 World Championship match setters were setting HIGH and SLOW sets to the right and left side hitters. Since quick offense was missing, it really wasn’t that important to get a perfect pass to the setter. Nowadays when the sets are fast to any position the accurate passes are essential. In Italy-Cuba match the serving looked totally different, often the serves were just high easy floaters over the net. There were no jump serve bombers, or jump float servers – even their float serves looked so easy compared to today’s float serves. Today exceptional serve receive skills are required to be able to pass current tough serves. ... so the game is very different nowadays. Therefore, do you think we should also practice differently than in 1990's? How should we practice nowadays? What do we need to focus in practice? What Volleyball Drills Coach Should Run to Meet Today's Requirements? Volleyball Serving Strategies and Serve Receive Strategies! We believe serve receive and serve are the most important part of the game today. For that reason we pay great deal of attention to volleyball passing and serving strategies. It is important to hone the technical skills of various serve receive techniques (there are many of them!) and serving styles. I don’t think we exaggerate at all if we say we use 30-50 % of the practice time to practice serve receive or serving drills. Run Game-like Volleyball Drills for Serving and Serve Receive! As soon as the basic techniques have been learned, serving and serve receive need to be practiced in the game-like situation. Game like volleyball drills maybe a norm for the serve receive, but they need to be applied to the serving also. For example it is not the best practice to make players do their serving drills in the end of practices - just doing few minutes of them – and having no targets or real passers to receive those serves. It is very common to see a team practicing serving for few minutes in a hurry in the end of the practice! Volleyball serving definitely needs much more practice time than that. Serving is important in modern volleyball!! When running serving drill, it is a good idea to combine it with passing. It is more challenging and better learning experience for the server to see a passer receiving the serve. Or at least players should always have targets where to aim the serve. Why the players are missing volleyball serves constantly? Newer and especially older volleyball fans may wonder about the huge amounts of missed serves in high level volleyball today. I am sure you saw the same trend in Beijing Olympic Games Volleyball - and you'll see it in many competitions in the future. Why even top players who practice volleyball daily are missing so many serves? "Missing Volleyball Serves is Not Good, But Risks Need to Be Taken"
A missed serve is never a good thing – but it is just a fact that nowadays servers need to take risks to beat up the opponent’s strong offense - and when taking risks and serving hard, the amount of errors will be higher. My personal opinion is: I like taking a risk with the serves, if there is a good return. I can live with missed serves – if the team gets bunch of points in return with the serves that go in. The coach was looking for the answer: "Serving extremely tough." The coach continued: "If we would serve all match as hard as we ever could, we would have a chance to score a point every now and then.. if those star players happen to shank the ball. However, if the National Team would pass the ball up, you would get killed..."
"Therefore when we play against the second opponent, the national championship team we will serve tough and take risks." Well, the coach was exaggerating a little bit – but I am sure you got the idea behind serving tough - which often leads to missing serves, unfortunately. Be sure to check out few tips how to play volleyball and organize serve receive and serve volleyball drills. P.S. 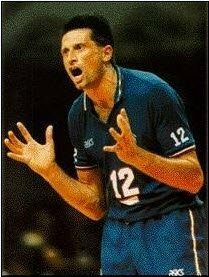 Final between Cuba and Italy in 1990 World Championships is still my favourite volleyball match. Mr. Despaigne was an amazing player, wasn't he? Volleyball Strategies for Skills Training Volleyball strategies to development skills. How to improve skills?